Weather promoting health and fitness in the workplace or sharing a passion for physical challenges with your friends; when it comes to your overall wellness, a Fitness Focus Group or Corporate Account is your most economical way to take advantage of your gym membership. 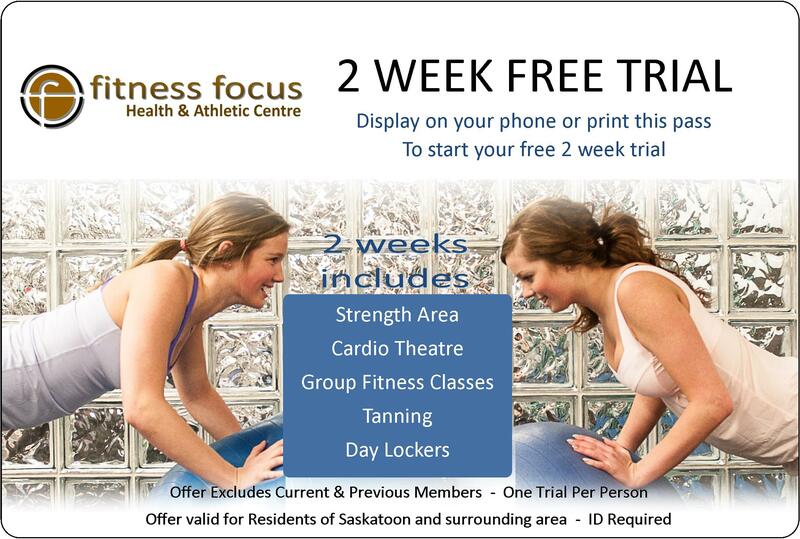 Fitness Focus offers the same flexible, no gimmick, no contract membership packages at a discounted Corporate Rate to groups of 5 people or more. Does your workplace already entitle you a group discount or are you're interested in starting your own group? It's as easy as obtaining 5 new memberships between you and your co-workers or friends. Please Contact Us to find out if your employer already qualifies you or for more information and free trial passes for you and your group to get your group rate started. Come experience everything you need in a fitness centre. Take advantage of everything we have to offer, tour the club, meet our staff and learn more about our Flexible, No Contract Gym Memberships. Click Here to ask for your free 2-Week Pass. Offer is open to resdents of Saskatoon and surrounding area. Excludes Current and Previous Members.